At Changing the Face of Beauty, we love to show off the efforts of our Partners who are front runners in the fight for inclusion in their media advertising. Wee Ones recently partnered up with Changing the Face of Beauty and launched their BeYOUtiful campaign, which features girls of all abilities proudly wearing their Wee Ones bows. 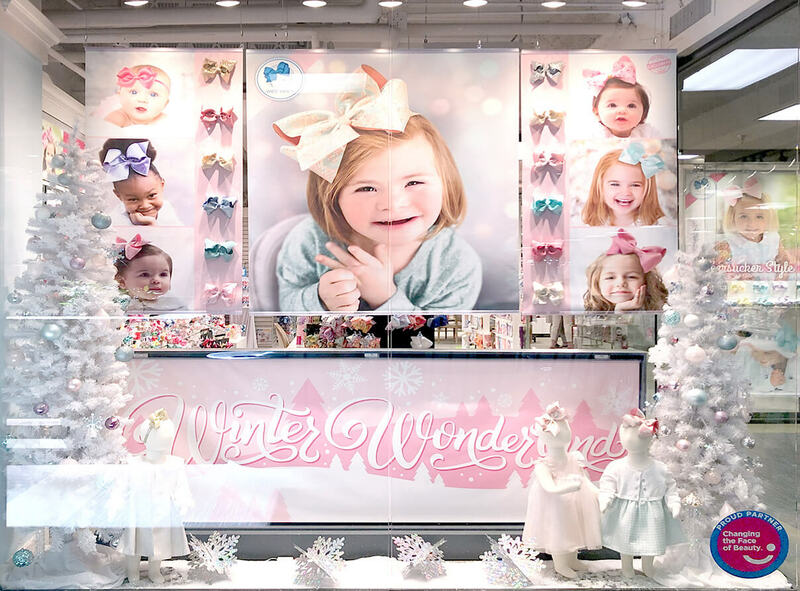 We interviewed Wee Ones’ owners Miles and Gina Faust to hear all about their partnership with us, as well as, their BeYoutiful Campaign. What brought you to Changing the Face of Beauty? Gina and Miles: We were introduced to Katie Driscoll by a mutual partner and were immediately captured by her passion and mission to change the way people view beauty in advertising. We had just launched a campaign of our own, We Make the World Brighter, which is all about empowering the Wee Ones girl to be herself and express her individuality through our fun and fashionable hair accessories. After meeting with Katie, we knew that a partnership with CTFOB could help us take our message to the next level and really focus our efforts on the inclusion of girls with disabilities in our campaigns as well. What does Changing the Face of Beauty mean to your business? Gina and Miles: For over 40 years our goal has always been to create quality hair accessories for all girls to feel beautiful and confident. We want every girl who wears a Wee Ones bow to feel proud of who they are inside and out. The CTFOB mission aligns so well with our focus as a company, it’s such a natural fit! What do you hope to communicate to your customers through your CTFOB participation? 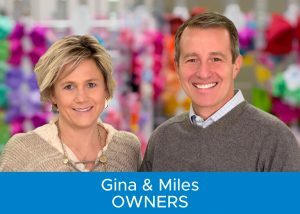 Gina and Miles: We want to change the way our customers see the Wee Ones girl, and send a message that we are a brand that empowers all girls to be themselves and love who they are. Every girl can be a Wee Ones girl! How do you see your partnership with CTFOB evolving? Gina and Miles: We just announced our partnership with CTFOB last month, and launched our BeYOUtiful campaign, which features girls of all abilities proudly wearing their Wee Ones bows, showing their individual style, and feeling beautiful and confident. We are working with influencers through social media outreach to share this message, and will be including CTFOB in everything from our digital media and advertising, to our print catalogs and showroom signage. We hope that, through our efforts, our industry partners and retailers will take notice and join the movement to promote and showcase girls of all abilities in their own advertising and media campaigns.